MATERIAL AND CARE: 100% Polyester, durable and long-lasting use. 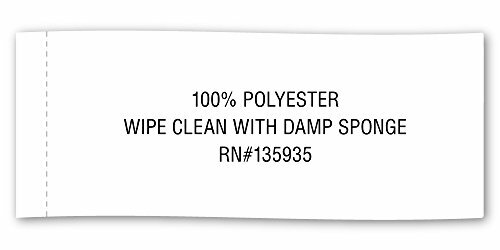 Wipe clean with a samp cloth. Tired of picking up your pets’ toys everywhere in the house but having nowhere to put them? Bone Dry has a solution for your pet’s storage needs! 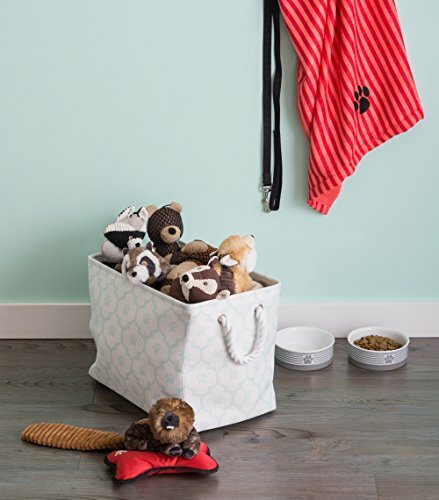 Specifically designed for your dog or cat these toy bins could be the perfect solution to organize the clutter while enhancing your home’s décor. 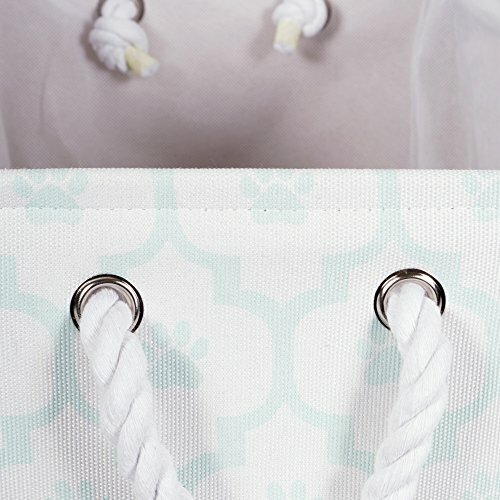 The neutral colors, subtle texture, and pawfect designs of these baskets makes them great décor pieces for your home. Whether you’re bring a new puppy or kitten into your life and need to outfit your home or if you have an established family member you’ll find a toy bin that will work for you in the size you’ll need. Sturdily constructed these storage bins are up to the task of being carried to-and-fro, used to transport the belongings for your pets – these bins can handle it. 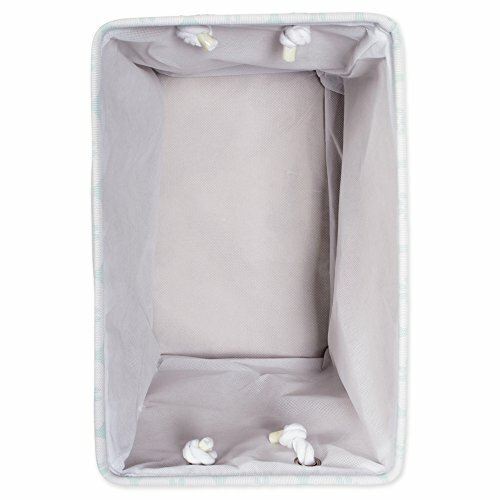 These storage bins feature a durable fabric exterior and interior that is easily wiped clean. The stylish metal bone-shaped handles provide an easy grip. When not in use, simply collapse the sides and store bin flat. The material and construction provides a long lasting bin that you can use over and over again. We understand that your pets are part of the family and have developed products that both you and them with enjoy. DII offers ceramic pet bowls, mats, beds, cage liners, toy baskets, toys, bath towels, blankets, and treat containers. To view our entire pet collection click on the bone dry link at the top of the page. 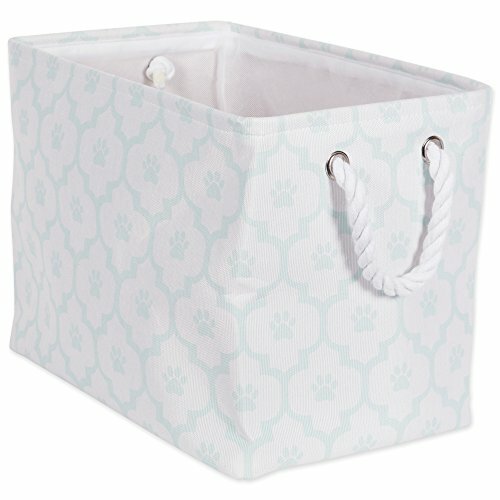 ORGANIZATIONAL SOLUTION FOR THE HOME: Perfect for holding dry dog treats, leashes, collars, toys, blankets, outfits, grooming supplies and more! 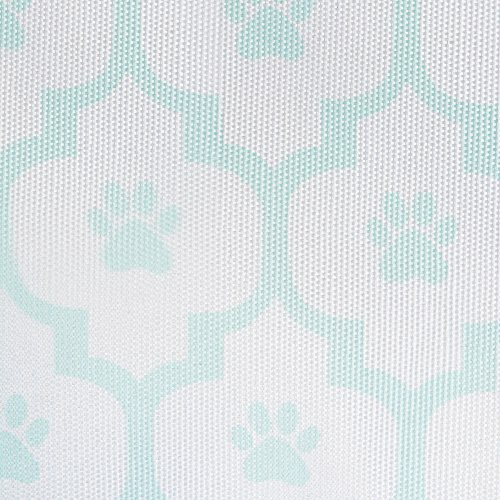 MORE BONE DRY PET STORAGE OPTIONS : Bone Dry offers various pet products including pet bed, pet towels, pet mats, pet bowls & blankets, and storage bin, but for more options search: Bone Dry Pet Storage or click the Bone Dry link at the top of the page to explore our other collection.